In a world first for Callaway Golf, Callaway Golf South Pacific has launched a major Anti-Counterfeiting initiative to protect the authenticity and quality of its products and the Callaway brand. The new initiative introduces a unique Certified Authentic label, which will feature on all genuine Callaway golf clubs released direct to the Australian and New Zealand markets, and has been designed to protect consumers from purchasing low quality counterfeit Callaway golf clubs. Using an innovative image shift label that can only be viewed using a polarised filter, along with several other highly technical security features, the Callaway Golf Certified Authentic label can be used by retailers and consumers to validate authenticity from certified resellers of the Callaway brand. “By holding such a strong position within the golfing market as a leading brand, and with products so highly demanded by consumers, Callaway Golf is unfortunately subject to the perils of counterfeiters,” Callaway Golf Australia General Manager Leighton Richards said. “By implementing the Certified Authentic label Callaway Golf South Pacific aims to support our local authorised retail partners by raising consumer awareness of the risks of purchasing online and from unauthorised retail stockists,” Richards said. “Callaway golf has a proud history as an industry leader in innovation that traditionally has been showcased in our products, however, as a brand we are working with the industry to use our innovative talents in a more diverse way to continue to bring a premium brand experience to our loyal customers”. The unique Certified Authentic label featured on serialised Callaway golf clubs released by Callaway Golf South Pacific from January 1st 2011, and includes all new drivers, #3 fairway woods, hybrids, putters and the #8 iron from complete Callaway iron sets. 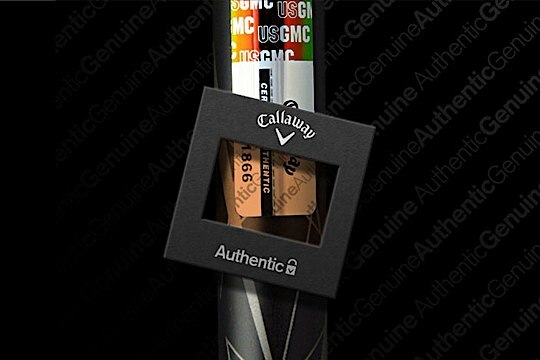 Located on the inside of the shaft, just below the grip, the Callaway Golf Certified Authentic label is not featured on Callaway Golf clubs released outside of Australia and New Zealand. As such, consumers purchasing Callaway products outside of Callaway Golf South Pacific’s authorised retailer network will not be guaranteed of their authenticity, nor will they be entitled to the benefits of Callaway Golf South Pacific’s warranty policy.